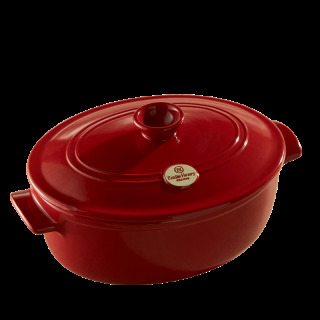 You can use your Emile Henry stewpot to simmer gently on the hob or in the oven, or to make tasty sauce-based dishes. For best results, always start on a low heat. Make sure there is always some liquid in your stewpot during cooking. 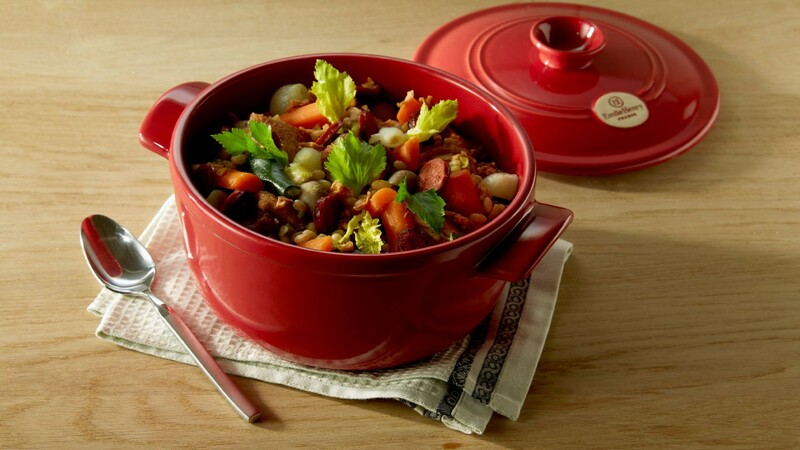 Your stewpot is very versatile: you can use it to make sauce based recipes, slow-cooked dishes with small pieces of meat (stews and casseroles) or large braised pieces. When simmering a slow-cooked dish, always use a low temperature. A long cooking time on a low heat gives the best results. You can exceed the cooking time given in the recipes without any problem. When cooking meat or simmering a casserole, the cooking juices will form on the bottom of the dish. This happens when the meat caramelizes, and adds a lot of flavour to your dish. Scrape the bottom of the dish with a wooden spoon and add to the sauce. Your stewpot can be used on all types of stove tops, with an induction disk for induction hobs. Do not heat the base of your stewpot when it is empty: always put water or oil in the bottom. Cook on the burner the most appropriate size for the stewpot (usually the largest). 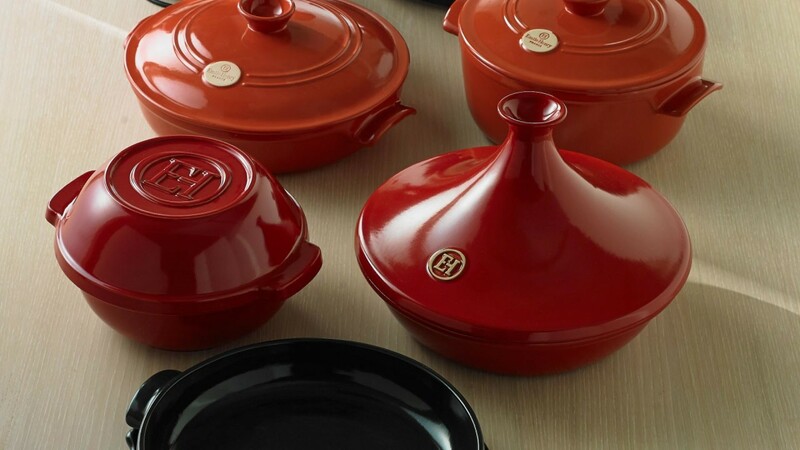 Thanks to the highly resistant glaze, you can use metal utensils when cooking without scratching the surface. When the dish is hot, do not place it in direct contact with anything cold, such as cold water or a cold surface. When you take it out of the oven, place it on a neutral surface, such as a wooden board or cloth.